The International Advertising Association (IAA) UK Chapter has announced the appointment of Kirsty Giordani as Executive Director, following Angus Grieve’s decision to step down. Angus joined the IAA as Executive Director in 2002 and was also appointed to the IAA World Board as Vice President for Elections in 2011. Kirsty will work alongside Angus for a handover period before taking over permanently as Executive Director later in the year. Kirsty spent 10 years at CNN, rising to the role of Account Director, leading a team dedicated to delivering creative, cross-platform, global solutions to clients and agencies, and driving revenue across the UK, Netherlands and Scandinavia. 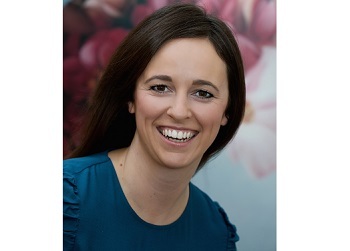 During her career, Kirsty has previously volunteered for the IAA – alongside being a member of the Activities and Social Committees, Kirsty also held the role of VP of the Young Professionals Committee, assisting with the organisation of PAC for eight years, the IAA’s highly regarded residential training course. In her new role, Giordani will oversee events, grow membership, develop partnerships and sponsorships, and work to encourage collaboration with other industry trade organisations.